System control has been one of the most important aspects of broadcast television since pictures and sound were first transmitted. Many equipment vendors used closed-control protocols and for countless years the default method of interoperability control was the GPIO (General Purpose Input Output). A network of bulky control cables distributed relay closures around a broadcast facility to form the basis of event triggers. The systems were hard-wired and had little scope for configuration and flexibility. There was no approved standardization for cables, connector types, or even the level of control voltages used. Serial protocols soon followed using RS232 and RS422. Although the EIA (Electrical Industries Alliance) specified voltage levels, connector types, and flow protocols, many vendors drifted from the official specifications to provide their own version subset. SWP-08 is one of the control protocols that has stood the test of time and is supported by many vendors. Although SWP-08 and protocols like it were significantly more flexible than GPIO’s using relay closures and opto-isolators, they still relied on a network of specialist cables and connectivity. Some vendors made RS422 operate over CAT-5 type twisted pair cabling, this could be made to work over structured cabling but not through Ethernet switches. Internet Protocol has proved its worth for many computer applications and one of the reasons broadcasters are adopting it with such enthusiasm is that IP is transport-stream agnostic. The IP data packets function independently of the distribution medium they are transferring across. IP can seamlessly move across Ethernet, ATM, or one of the many other forms of Telco networks. This helps enormously when distributing signals outside of the broadcast facility as IP packets can be sent using standard Telco infrastructures. Before IP, broadcasters used expensive and inflexible RS422 and RS232 control standards. The number of Telco’s supporting them was limited which lead to long delivery times and convoluted and often unreliable international routing. Protocols such as SWP-08 have been upgraded to work over IP and can now benefit from the advantages network delivery offers. That is, broadcasters can use IT infrastructures to facilitate control of connected equipment such as vision mixers, sound consoles, cameras, and lighting systems. Diagram 1 – The success of IP has been due to the flexibility with which it can be distributed over diverse communication networks. In this example, IP packets leave the studio embedded in Ethernet frames, are modulated for satellite transmission using CODFM, and then converted back to Ethernet for the studio. The IP packet is completely unaware of these changes. But as we progress to IP, specifically ST2022-6 and ST2110, interoperability is emerging as the new solution to be found. One of the major benefits of SDI, AES, and MADI is that interoperability is built into the specification and inherent in the design. We know that if we connect an HD-SDI camera output to a vision switcher, both complying with SMPTE-292 specification, the pictures generated by the camera will be available to the vision switcher without further configuration. However, the price we pay for this interoperability is lack of flexibility. An SDI network using SMPTE-292 will distribute HD video at 1.485Gbits/s or 1.485/1.001 Gbits/s. It is very difficult to seamlessly add other standards to the network such as 4K or even standard definition. Embedded audio can be used to help distribute the audio, but complexity soon arises due to the number of embedder and de-embedder devices required. And control becomes more of an issue as separate IP or RS422/RS232 networks must be provided. IP is incredibly flexible as asynchronous packets are distributed without reference to the underlying hardware infrastructure. Multiple formats and standards can be simultaneously transported within the network along with audio, metadata and control. IP has no knowledge of the data the payload is carrying. But this flexibility presents IP systems with new challenges as the end points cannot easily determine the type or format of data exchanged between them. A video camera with a 25Gb/s connection can simultaneously send and receive many different video, communications, and control signals. We don’t even know if the camera is using UDP, TCP, or a combination of them. And IP addressing becomes a greater challenge. Interoperability in IP is only getting us to where we already are with SDI, AES, and MADI, albeit with considerably more flexibility. To help address these challenges AMWA was formed. According to their website, AMWA is an open, community-driven forum, advancing business-driven solutions for Networked Media workflows. In turn, AMWA established NMOS, the Networked Media Open Specifications. NMOS has been collaborating with industry partners to provide interoperability and interconnectivity specifications. NMOS is building a series of specifications that encapsulate control to enable low level configuration and to ensure that network management is abstracted away from the user. IS-04 provides registration and discovery. Like plug-n-play, IS-04 automatically detects any IP equipment added to the network and provides it with an IP address. Networks are dynamic by nature and constant connection and disconnection of equipment should be expected. 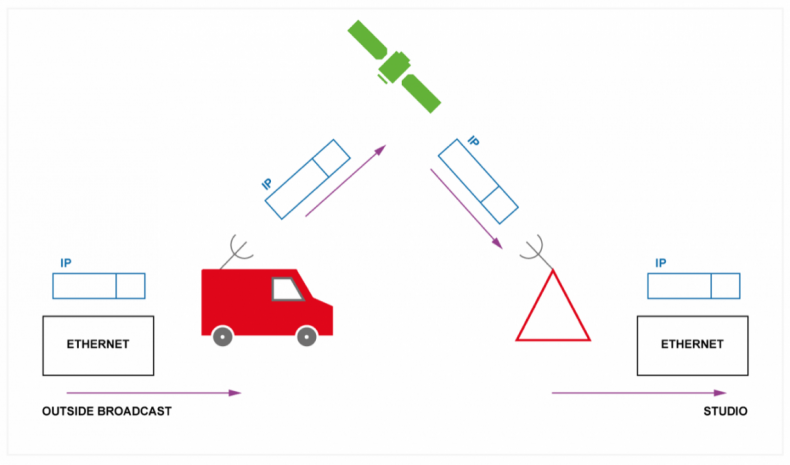 Diagram 2 – Video signals provided by ST2110 do not contain interoperability or interconnectivity information to facilitate seamless connectivity as with SDI. Instead, this is left to NMOS and the suite of protocols. IS-05 is intended to seamlessly connect senders and receivers such as a microphone to a sound console, to allow them to communicate together. A suitably equipped sound console could control the pre-amp inside the microphone using IS-05. As each type of device has different parameters, control, and signals, the Session Descriptor Protocol file is used to describe them to facilitate interoperability. IS-06 abstracts away the underlying IP network to a series of software interfaces. Broadcast controllers use the standardized interfaces to control routing parameters between endpoints, such as a camera and monitor, and define parameters including bandwidths and QoS (Quality of Service). IS-07 is the event and tally specification. This provides a mechanism to exchange and distribute time related events either created in software or from sensors. In effect it replaces GPIO distribution and control, although a suitable interface is required to convert to legacy hardware opto-isolator inputs and relay outputs. The AMWA specifications are in various stages of release and manufacturers are busy coding solutions. It’s clear that to get to where we already are with SDI, a great deal of work is still yet to be done. However, once this is complete, ST2110 and ST2022-6 video and audio over IP will be much more flexible than the current SDI, AES, and MADI offerings. These specifications further open the possibility of innovation from manufacturers and system integrators. As AMWA are succeeding in abstracting away the underlying specialist IT hardware through standardized API software interfaces, generic monitoring and control systems can be better provisioned. Only a few broadcasters have the luxury of developing a complete green field site and most facilities are migrating their SDI systems piece-meal. Consequently, control systems will still need to provide SWP-08 type protocol conversion as well as traditional hardware GPIO’s. Legacy equipment still proliferates throughout many facilities and the need to provide traditional control will be evident for many years to come. The beauty of IP systems is that they generally use standard off-the-shelf hardware interfaces such as 10GBASE-T or 25GBASE-T. Although 40GBASE-T and 100GBASE-T network interface cards are expensive, they are readily available from professional IT vendors. Therefore, any advances to the control protocol specifications are easily facilitated in software, thus making the system future proof and highly adaptable. Control systems are a rich source of accurate data for AI (Artificial Intelligence), especially when correlated with timed events. Generally, each node is based on an x86 type computer system and can easily record control data thus making it available to AI controllers. This further increases the possibility of automated solutions. Highly correlated data-sets further pave the way for systems that can self-diagnose and repair, or at least send meaningful alarms. This is especially true when anonymous monitoring data is shared around multiple facilities throughout the globe. But control systems still need to be delivered today and solutions with traditional GPIO, RS422/232 interfaces, combined with Ethernet network interface cards should be considered. As broadcasters venture more into SMPTE’s ST2022-6 and ST2110 systems with flexible control, they will future proof themselves as well as supporting and simplifying the progressive migration.